There is perhaps no better way to spend a summer day than grilling and enjoying the fruit of your efforts with friends and family. Doing so, of course, requires a properly maintained grill. 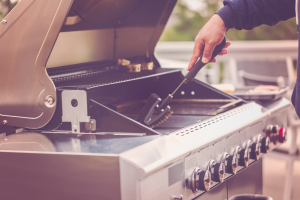 Grills of all variety often have a long lifespan, but that can be hampered if you don’t clean and maintain yours regularly. Burners can get dangerously clogged, gunk can build up so much that it causes small fires, and rust can take over your must-have party addition. Luckily, seasonal maintenance and cleaning don’t take too much effort. Read on to find out how to keep your grill operating smoothly and belching meat-searing fire. 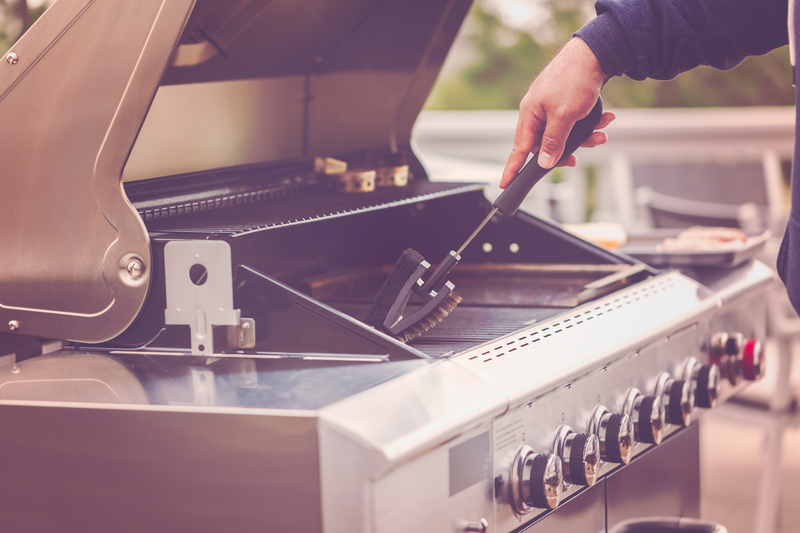 For gas grills, turn the heat up to high and let the grill cook with the lid closed for about half an hour. Allow the grill to cool and then brush it off with a grill brush. Wipe down the exterior with a damp sponge and a gentle cleanser. Clean the grill’s drip pans. For charcoal grills, completely empty the grill and wipe out any ashy residue. Then clean it inside and out with hot water, a scrubby sponge and some liquid dishwashing soap. Let the grill dry completely before using it again.